Need a break from the heat (and/or kids ;)? Getting caught up on CE is a great way to stay cool this summer. 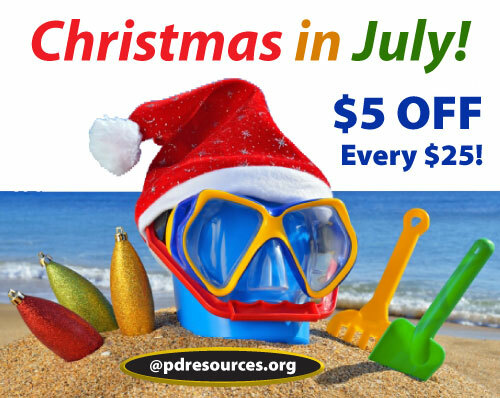 Join us for Christmas in July and enjoy $5 Off Every $25 you spend on courses @pdresources.org. Your instant savings will automatically apply at checkout based on your order total (after coupons). Max discount is $50 on orders $250 or more. Offer valid on future orders only. 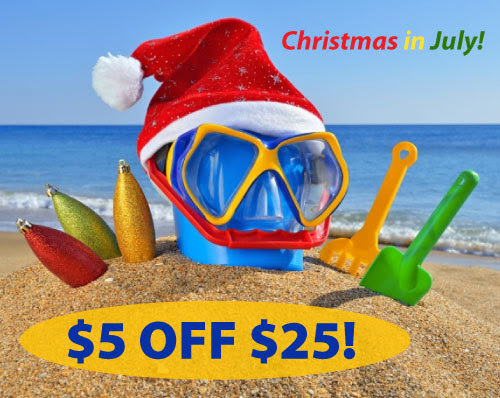 Christmas in July Sale ends Tuesday, July 31, 2018. Enjoy $5 Off Every $25 You Spend! Your instant savings will automatically apply at checkout based on your order total (after coupons). Max discount is $50 on orders $250 or more. Offer valid on future orders only. Sale ends Monday, July 31, 2017. Professional Development Resources is a nonprofit educational corporation 501(c)(3) organized in 1992. We are approved to sponsor continuing education by the American Psychological Association (APA); the National Board of Certified Counselors (NBCC); the Association of Social Work Boards (ASWB); the American Occupational Therapy Association (AOTA); the American Speech-Language-Hearing Association (ASHA); the Commission on Dietetic Registration (CDR); the Alabama State Board of Occupational Therapy; the Florida Boards of Social Work, Mental Health Counseling and Marriage and Family Therapy, Psychology & School Psychology, Dietetics & Nutrition, Speech-Language Pathology and Audiology, and Occupational Therapy Practice; the Ohio Counselor, Social Worker & MFT Board and Board of Speech-Language Pathology and Audiology; the South Carolina Board of Professional Counselors & MFTs; the Texas Board of Examiners of Marriage & Family Therapists and State Board of Social Worker Examiners; and are CE Broker compliant (all courses are reported within one week of completion).